No matter how good your speakers are, your amplifier is the brute force behind any good audio system. Stinger Australia’s range of amplifiers offers OEM integration and Aftermarket solutions. Whether you’re wanting to replace your OEM speakers or improve and upgrade your in-car experience, Stinger Australia’s range of speakers from Phoenix Gold can achieve the experience your after. From the entry-level Z series through to the Audiophile Ti2/Ti3 Range, Phoenix Gold speakers offer crystal clear highs and thumping kick drum midbass. Complete your in-car experience by hearing every slapping bass note, every rumble and kick with our range of Phoenix Gold subwoofers. 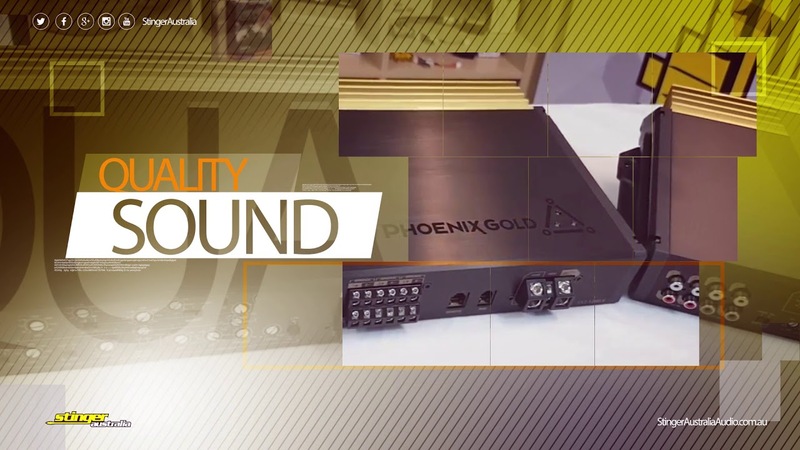 From our Z Series entry-level range of subwoofer packs, through to audiophile quality bass sound in our Ti3 range of Subwoofers, Phoenix Gold’s subwoofer range has something for everyone. PAC Audio & AudioControl Interfaces. Whether you’re wanting to add a mono subwoofer amplifier, 4 channel or multiple amplifiers, Stinger Australia’s range of entry-level processors, vehicle specific adaptors and full digital sound processing units ensure your audio system gets the signal it needs.